Home ___Storage Justice Issues SMA Wilton Parish responds to the Homeless crisis in Cork. SMA Wilton Parish responds to the Homeless crisis in Cork. 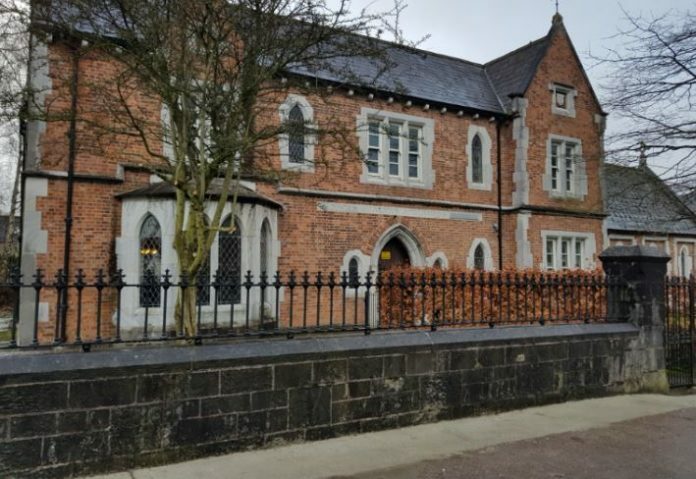 The Wilton Justice Group has collaborated with Cork Simon community in an exciting project to house the homeless of Cork. Simon community have acquired an historic building. The old stone building on Angelsea Street, known as St. Joachim and Ann’s, which was originally built in the 19th century to house the housekeepers of retired priests. Latterly it has served as a nursing home. The Wilton justice group has supported different projects of the Simon Community since we were established in 2014. Because of this support Simon invited the group to become involved in the fundraising to establish nine apartments in St Joachim and Ann’s. The group were invited to visit building and to view the plans. 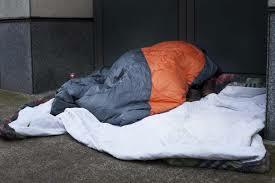 A homeless person sleeping rough in Cork. Simon have succeeded in obtaining a capital grant to do the major work on the building. The SMA Wilton Parish Justice Group were invited to fundraise to help cover the cost of fitting out one of these apartments. Through parish efforts we had a great response and have succeeded in raising €6,500, the cost of fitting out one apartment. Several groups in the parish collaborated in this effort. The Carol singers from An Gael Scoil raised money by singing carols in the shopping centre. The annual parish Christmas Carol service also donated half of its takings to the project. The Bingo group who meet in the parish centre raised funds through a raffle. The placing of red ribbons on the Christmas tree and contributing to Simon was supported by the parishioners. The Wilton Justice Group feel privileged to be involved in such a practical project to help tackle the homeless problem in Cork city. Kathleen O’Connor, member of the Wilton Parish Justice Group.